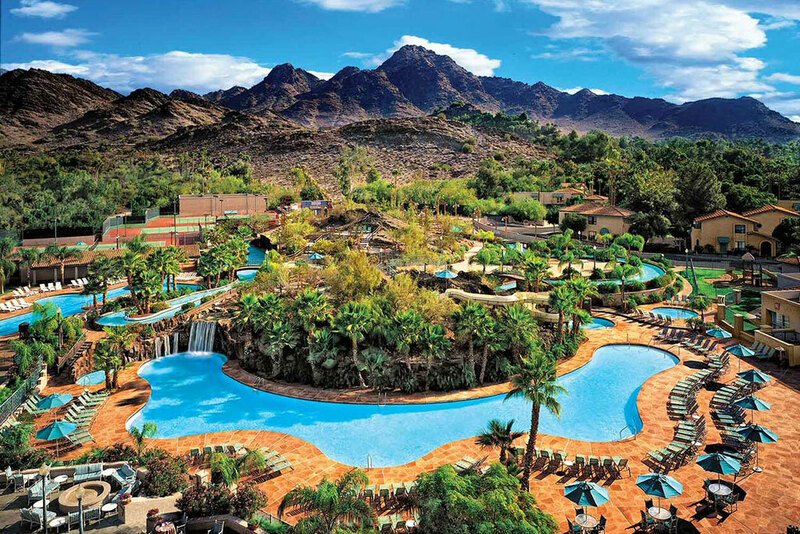 Not only is Phoenix part of one of the largest states in the country, it also happens to be right in the middle of that state, clearly a must-visit for anyone looking to explore all of Arizona. 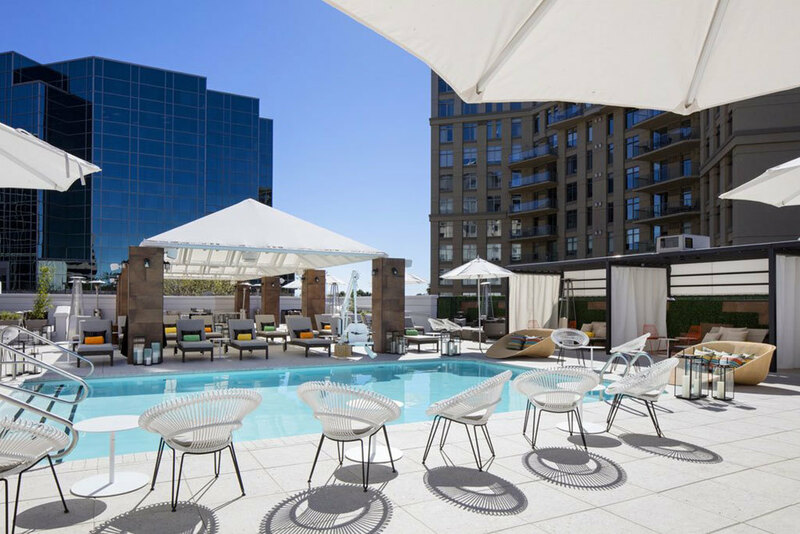 While there are a ton of things to do on a single day in Phoenix, we must suggest staying overnight to experience the city like only a true local would. Looking not to spend a fortune on your little vacation? 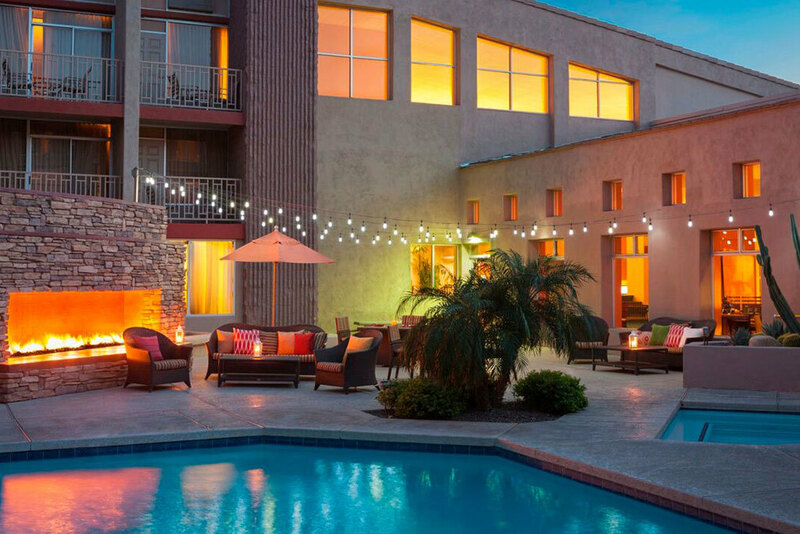 Forego the best hotels in Phoenix and opt to stay at one of the best cheap hotels in town, which include some budget-friendly accomodations in nearby Scottsdale (just a 15-minute drive away!). You are very welcome. 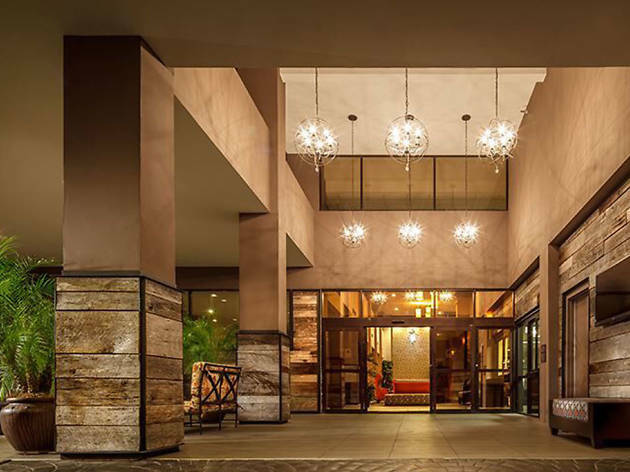 The Camby pays homage to the five Cs of Arizona—copper, cotton, citrus, cattle and climate—which means you’ll get a true southwestern experience in one luxurious hotel. Make use of the full spa and fitness center, restaurant and coffee bar on site. Want to hang by the pool all day? Do that and order some food and drinks straight to your pool bed. Time Out tip: It’s definitely not your grandma’s version of high tea, but the Tipsy Tea party is a must-try modern twist on a classic. You know you’re in for a treat when you’re greeted by, well, treats. The resort’s Sonoran bark is a spicy, sweet taste of Arizona that puts you in a southwestern frame of mind upon check-in. Get yourself a room with a view or, better yet, one with a patio that will lead you right to the pool. Be sure to check out the monthly spa specials and try one of the signature services. If you’re looking for a full dinner, head to the restaurant or check out happy hour at the bar. Either way, you’ll be treated to menu items with local flair, along with a selection of regional and local wines and beer. Time Out tip: Wake up early and rent a bike from the front desk (they tend to go quickly) and take a ride along the seven-mile trail next to the resort. Don’t worry if you forgot to pack your water bottles: The staff will provide you with everything you need, including a cold bottle. Think of this beautiful resort as your home away from home. Except you don’t have to make the bed. 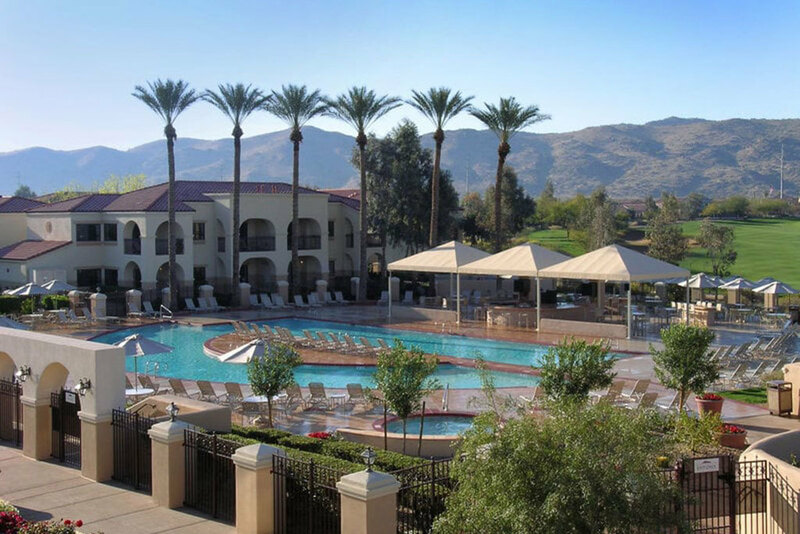 With five swimming pools, tennis courts and a fitness center that offers group classes, you may never leave the resort. The hotel also boasts a spa, an on-site restaurant (breakfast only), a sports bar and pool-side dining. Time Out tip: Stop by The Market to pick up a sandwich to-go and some Phoenix-themed gifts like prickly pear candy to take home to your friends. 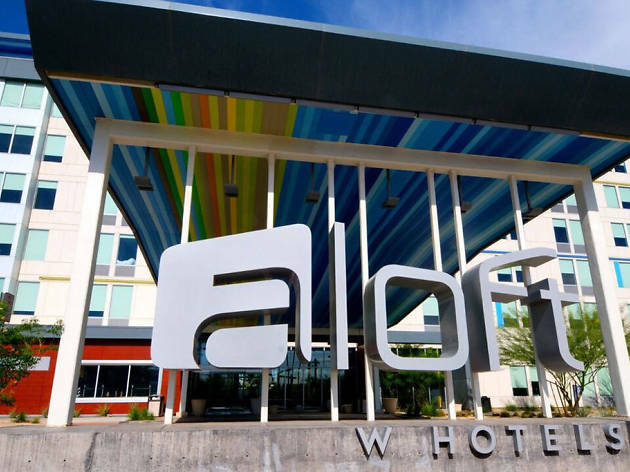 Aloft is ideal for the traveler who enjoys a hip hotel but is savvy enough to know that a fortune need not be spent on it. It is located close to the light rail right in-between Phoenix and Tempe, so you can save your Lyft money for a ride to one of the area’s hot spots instead. Want to stay in? Head to the W XYZ bar and Re: mix lounge. Cool off the next day in the hotel’s splash pool. 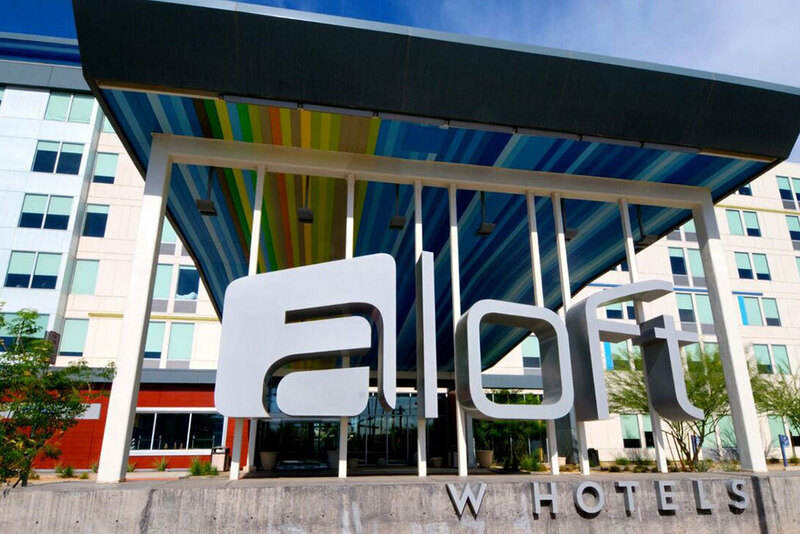 Time Out tip: Follow Aloft on social media and plan your stay around one of the “Live @Aloft” events. Not only do you get to hang in the uber-trendy bar, but you’ll get to enjoy live music, craft beers and food truck fare. 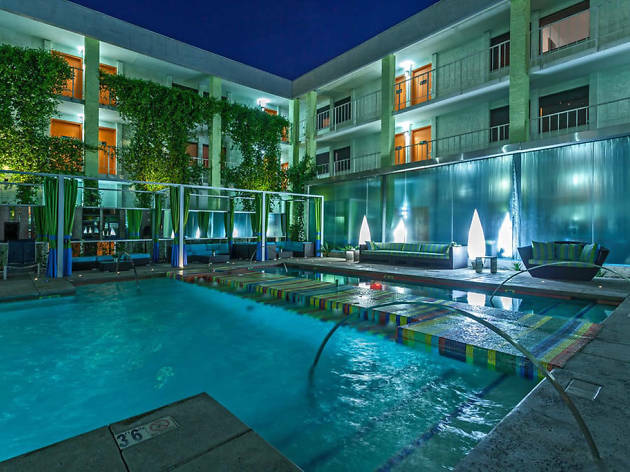 This Central Phoenix hotel is steal. It has all the amenities you’d expect in a fancy hotel and then some. The spa offers an array of services, from facials to massages, making it a great way to kick off or end your relaxing vacation. 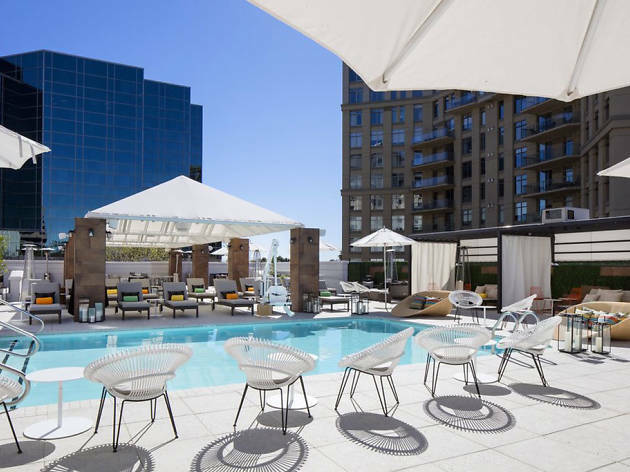 Enjoy a great view of the city from the sky deck or lounge at the award-winning pool. Time Out tip: Book your stay during the off-season and peruse the hotel’s online calendar online to get a look at the daily rates for each week. No matter which room you choose, you’ll have plenty of space at Legacy. Best of all? You will get to enjoy the resort experience without the usual price tag. The property boasts a swimming pool with two whirlpools, a child’s wading pool and even a poolside cabana. Golf lovers will spend a lot of time on the challenging course and the state-of-the-art golf center that includes an HD simulator. Time Out tip: The resort offers country-club style dining on site, but don’t leave the area without checking out The Farm at South Mountain. Just minutes away, it is a true farm-to-table dining experience and a great way to enjoy the stunning mountain view. 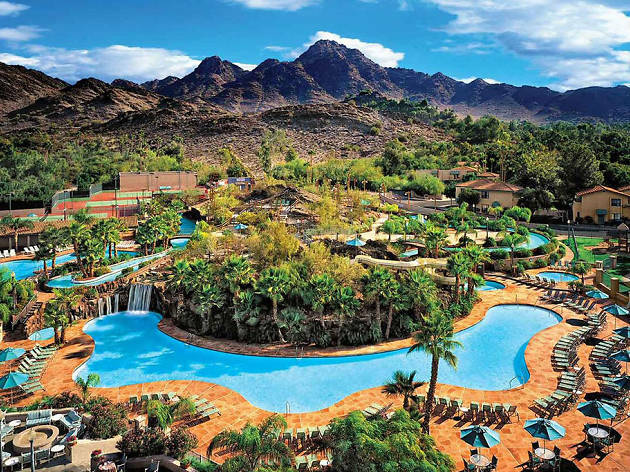 Locals know that Pointe Hilton Squaw Peak is staycation mainstay. And that’s for good reason. Rates start at $159 and you get a true resort experience that’s perfect for the whole family. The highlight of the resort is River Ranch, the four-acre waterpark that includes a water slide, lazy river and miniature golf course. Time Out tip: The resort’s Coyote Camp means that parents can enjoy a kid-free night (or day) on the town, even when on vacation. The camp offers full and half-day programs for kids 4-12, as well as evening hours programs. 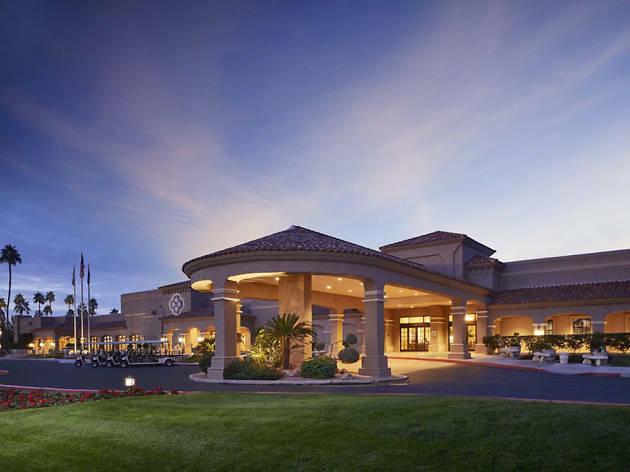 When it comes to hotels, Grand Canyon is one of Phoenix’s best kept secrets. Part of the university, it offers hospitality students a chance to put their classroom learning into practice. What does that mean to you? Great hotel service for an even greater price (for example, a suite with a kitchenette and separate living room area starts at just $90). The hotel’s amenities include a fitness center and a resort-style swimming pool. The hotel and its onsite restaurant, Canyon 49 Grill, also offer family-friendly events throughout the year, like tailgate parties before major sports events. Time Out tip: Whatever your day-time plans, try to get back to the hotel in time to enjoy the evening wine tasting on Wednesdays. Is wine not your thing? Hang out in the open concept lobby and enjoy the coffee bar instead. 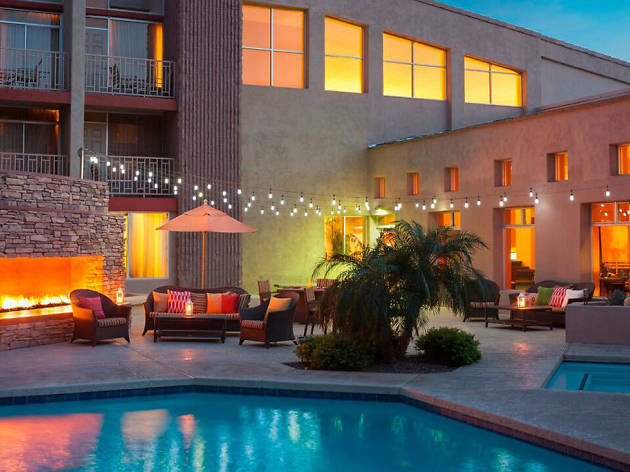 This hotel is located in Phoenix’s North Valley—and it is totally worth getting outside the hustle and bustle of downtown for (especially for those heading north to sky: it’s right off the I-17!). Guests are granted access to an outdoor pool, spa and fitness center onsite. Parents shouldn’t worry about packing an entire kid-friendly arsenal: The hotel provides playpens, cribs, high chairs and more. Time Out tip: In town for business? The ergonomic chairs in each room will make your work a lot more bearable. Don’t let the name fool you: You don’t have to stay for a long period of time to enjoy Extended Stay America. It’s ideal for those who would rather pick up a few groceries and cook in the room instead of exploring the city’s dining scene. It also happens to be located a five-minute drive away from Biltmore Fashion Park, which offers some of the area’s best shopping and restaurants. Time Out tip: There’s nothing like a good run or walk to start (or end) the day, but it’s sometimes hard to find a good spot while traveling. Good thing Desert Storm Park is just across the street, perfect for walking your dog or just getting some fresh air. 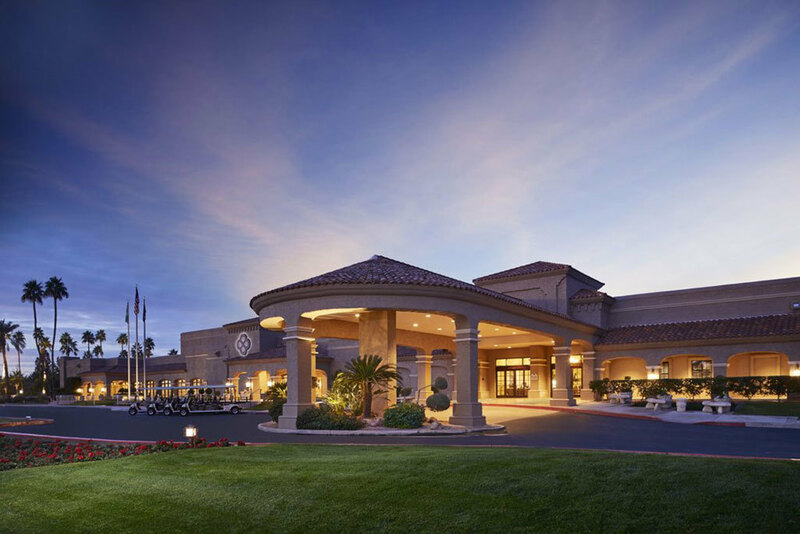 The Crowne Plaza is just a mile from the airport, but you’ll feel like a Phoenix native during your stay. Enjoy complimentary shuttle service to and from the airport, proximity to public transportation, an onsite restaurant and bar offering locally sourced ingredients and much more. Has anything ever sounded more comforting? Time Out tip: Ale drinkers will love the rotating selection of craft beers at the hotel’s Perch lounge. Hotel Del Sol is the epitome of balling on a budget. The hotel offers free airport and other shuttle services, so you don’t have to worry about transportation to nearby areas. The best part of your stay here? The on-site spa and fitness center. Time Out tip: Whether you’re celebrating a special event or just decided to treat yourself, splurge and take advantage of the in-room massage services. 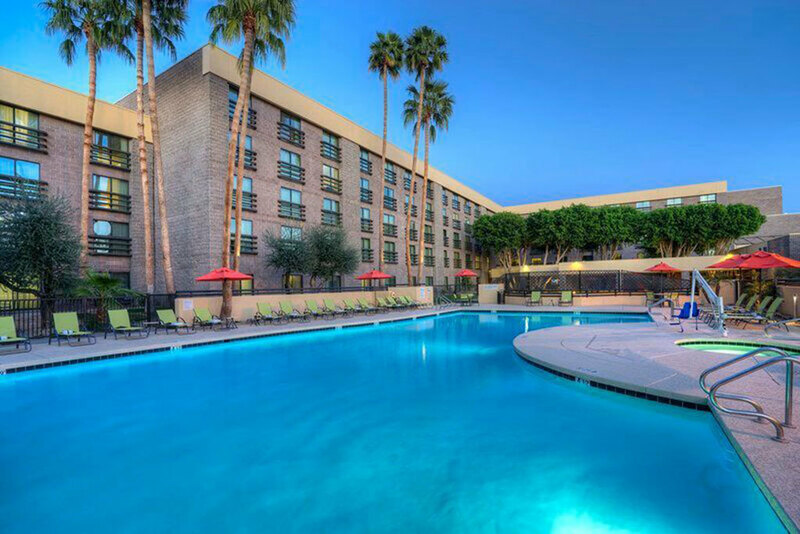 Located in Tempe, The Sheraton is close to shopping, dining and entertainment destinations. 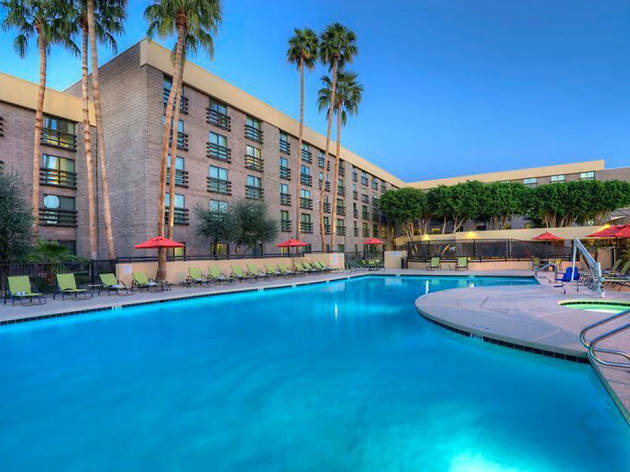 The Arizona Mills shopping center is just minutes away and, given the hotel’s proximity to Arizona State University, you’ll be right by tons of restaurants and bars—if you don’t mind the college crowd, that is. While at hotel, enjoy the heated pool, lounge by the fire pit and/or grab a coffee at the Starbucks in the lobby. Time Out tip: You might want to consider becoming a Sheraton Club member to get access to the Club Lounge, which offers complimentary breakfast, afternoon snacks and drinks. Meant to accommodate long-term travelers, TownePlace is also great for when you’re traveling with friends and realize you’re too old to keep sharing a bed (or crashing on the couch). Ranging from studios to two-bedroom suites, all rooms include fully-equipped kitchens and come with access to the property’s fitness center and a heated pool. Time Out tip: Enjoy a day out and walk to nearby Castles N’ Coasters amusement park. The park offers both high thrill and kid-friendly rides, so it’s great for the young and the young at heart. This hotel is located close enough to the airport to keep you from waking up at the crack of dawn to catch your flight, but far enough to get away from all the busy noise. Also take advantage of a full (free!) breakfast buffet, a heated outdoor pool, a spa and fitness center. Don’t forget to check out the daily happy hour. Time Out tip: Bring your hiking shoes. 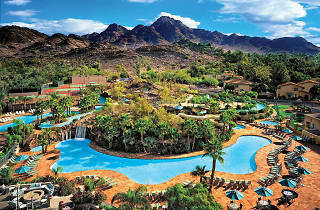 The hotel is adjacent to the Piestewa Peak at Phoenix Mountain Reserve, which has over 27 miles of biking/hiking trails. The modern lobby is so inviting, you may find yourself chilling there instead of inside your room—that is, if you can tear yourself away from the sparkling, blue pool. 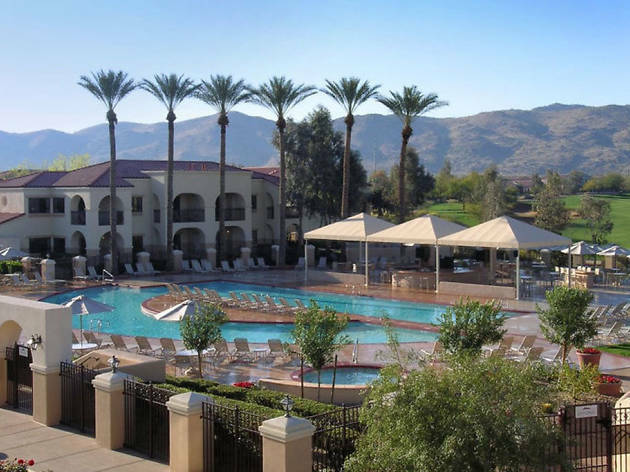 The hotel is within walking distance to an amusement park, and about seven miles from Historic Glendale, a cute town. Too lazy to walk? Opt for the hotel’s complimentary local shuttle service instead. Time Out tip: Take some time out to visit Historic Glendale, and sign up at the visitor center for a free walking tour guide. 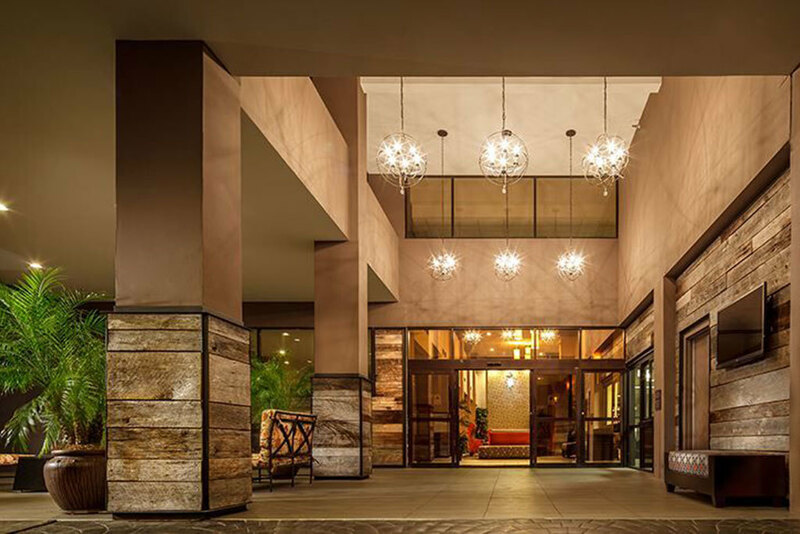 With just 60 guest rooms, you’ll want to book fast if you want to stay at this Scottsdale hotel. 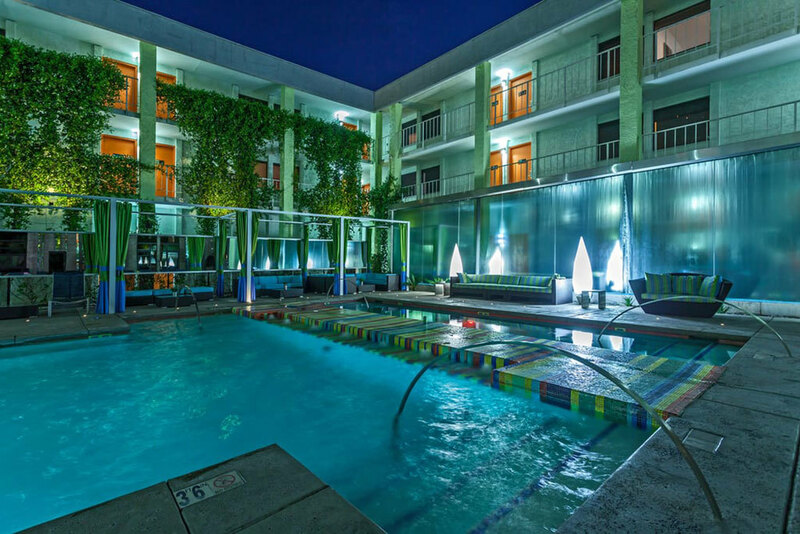 Cool off in the hotel swimming pool or work out in the onsite fitness center. But the best-kept secret is the hotel’s free breakfast buffet, which means you can have more than just a yogurt and a banana before checking out the city’s top attractions. Time Out tip: Take a five-minute cab ride to Old Town Scottsdale and walk around while checking out the bevy of restaurants, shops and art galleries in the area.